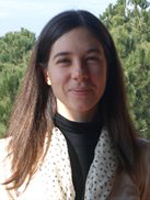 Cristina Fasone ist Max Weber Postdoctoral Fellow am Europäischen Hochschulinstitut in Florenz, Italien. On April 28th, the Italian Constitutional Court will hold a public hearing on the constitutionality of the planned independence referendum in the northern Italian region of Veneto. Unlike its Scottish and Catalan counterparts, the Veneto secession case has been largely ignored on the national political level in Italy. From a legal point of view, the unconstitutionality of an independence referendum seems hard to deny. But politically, nevertheless, treating regional separatism as a taboo could endanger the very thing it seeks to protect, the one and indivisible Republic of Italy.